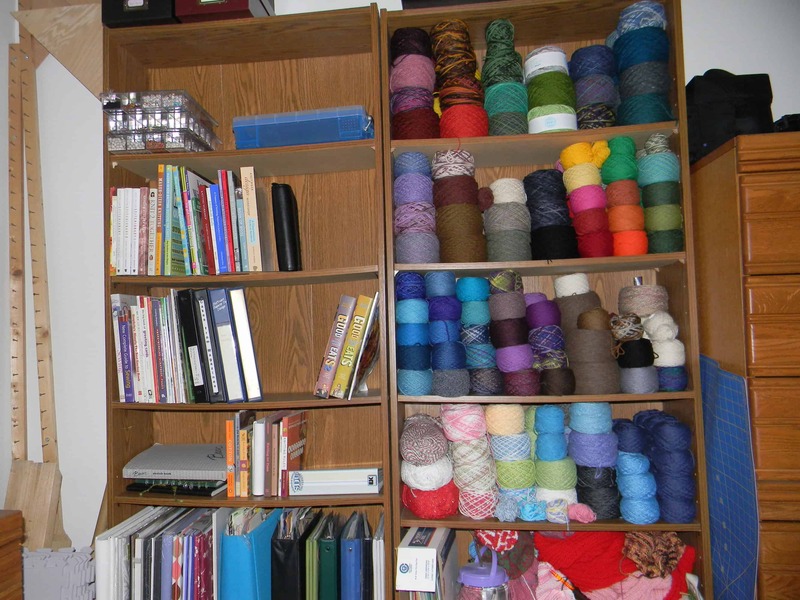 By the end of 2013, 6 shelves were stuffed with yarn, and I had more yarn that I needed to put away but did not have space. I updated my Rav stash to current, and discovered that I had 93,835 yards (that’s 53.32 miles) of yarn. That is too much. Something needed to change. Back on April 30, I finished my second spinning project! I did not have time to post about it before I left for Maryland Sheep and Wool, so I am getting to it now. I finished spinning 8 ounces of the pin-drafted roving I got from Ohio Valley Fibers at The Fiber Event in Greencastle. I started spinning this fiber while I was at The Florida Sheep, Wool, and Herding Dog Festival, and in my post about that event, I included a progress photo. Week 2 of Fiber Event Goodness! I knew the Florida Sheep, Wool, and Herding Dog Festival would be a very different event than the others I am attending or have attended. The other events were all organized by fiber-crafting people for fiber-crafting people. The Florida Sheep, Wool, and Herding Dog Festival is organized by the Meat Sheep Alliance of Florida. I knew fiber was definitely part of the event — the Festival’s website included a list of workshops and identified a “Fiber and Creative Arts Pavilion” — but I wasn’t sure how big of a part. The website did not include a list of fiber vendors, so I assumed none would be there. I assumed the event would be mostly about the sheep, and that was great! Since I was going to big fiber-shopping events on the weekends before and after, just seeing sheep sounded awesome.